Caring For Kids – 7 p.m. The Next Generation of Children’s Health Starts Now! 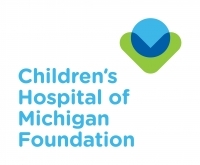 Through groundbreaking research, innovative community programs, and advanced medical education, the Children’s Hospital of Michigan Foundation is making a big impact on children’s health and healthcare in Michigan and beyond. Beginning in February 2017, the Foundation is proud to be partnering with The Great Voice of the Great Lakes, Detroit’s 50,000-watt leader in news/talk radio, WJR 760AM to help with our efforts. WJR will produce and air Caring for Kids, a monthly radio program hosted by Foundation President & CEO Larry Burns, and focus on highlighting individuals and organizations addressing issues and efforts locally, regionally and nationally, that are having a significant effect on the health of the children in our area. A Detroit native who has maintained close professional ties to Michigan throughout his career, Lawrence J. Burns returned to Detroit earlier this month to lead the Children’s Hospital of Michigan Foundation in their efforts to make a lasting, positive impact on Michigan children. Burns is a recognized leader in the nonprofit sector, most recently serving as Vice President for Advancement at the University of Akron after more than two decades of health care and higher education development, marketing and executive experience in multiple leadership roles at the University of Toledo and the Medical College of Ohio. Mr. Burns is a firm believer of integrating all forms of communication elements of an organization including marketing, branding, fundraising, social media and community outreach. Mr. Burns has also served in leadership positions at community organizations such as Make-A-Wish, Boys and Girls Club, the Toledo Zoo, The Akron Roundtable as well as serving as chief diversity officer at the University of Toledo. This new position is a homecoming of sorts for Burns, who established his strong fundraising reputation working in development for Children’s Hospital of Michigan earlier in his career. Mr. Burns is a graduate of Central Michigan University and has been a part time instructor at UT in the areas of public relations and interpersonal communications.